Overhaul Kit- 3 speed transmission rebuild kit Borg Warner T87 transmission. This kit is for manual 3 speed used in L R S and early 1960's trucks. 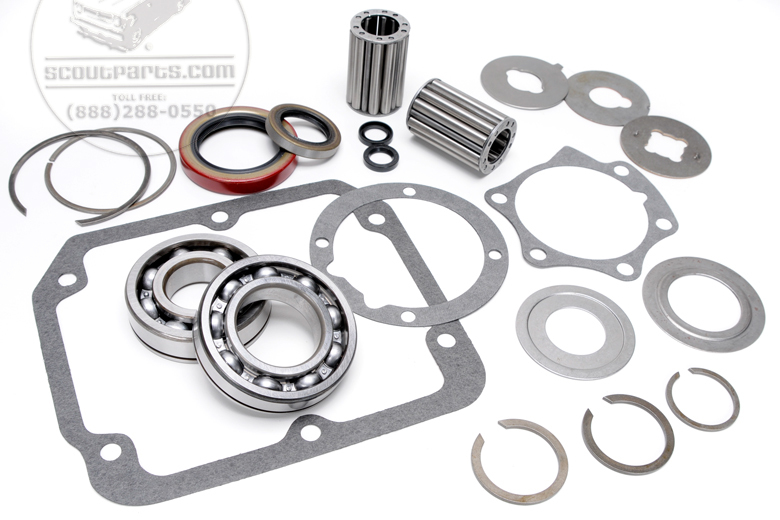 Keywords: Transmission rebuild kit, overhaul kit, transmission bearing and seal kit.